You have the chance to help someone. 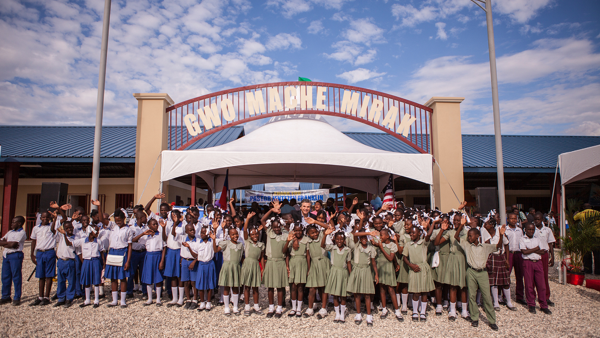 The 20-acre marketplace called Gwo Mache Mirak, which means “Grand Miracle Market,” opened on December 9th, 2014! This marketplace is truly a miracle, as it will provide an estimated 2,400-2,700 jobs within the next 2 years in a country that has 85% unemployment. The Kingdom Connection Food Distribution Center is a 30,000 square foot warehouse stocked with racks to hold about 100, 40-foot containers of food. 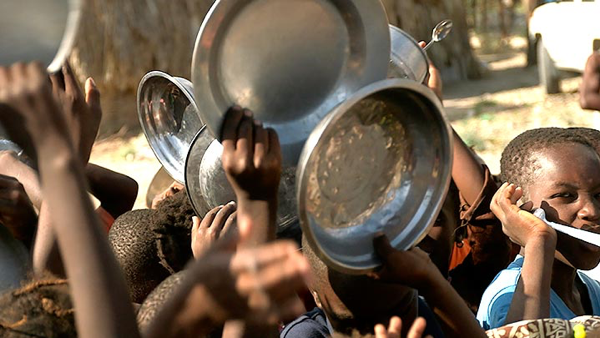 The food stored here is delivered to remote villages, dozens of orphanages and shared with many missions organizations caring for the poor and hungry children in Haiti. The devastation in Haiti, left many injured living in the field hospital and others were living in make shift homes and tent villages. Kingdom Connection Village, transformed a flooded community with a handful of dilapidated mud huts into a neighborhood of 100 homes. 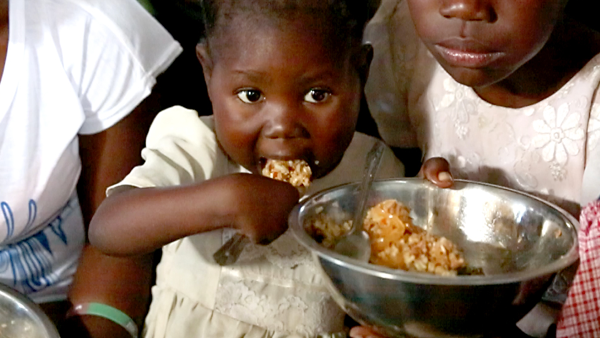 "Each month we send 272,000 meals to Haiti. For just $120 you can send 3,240 meals. 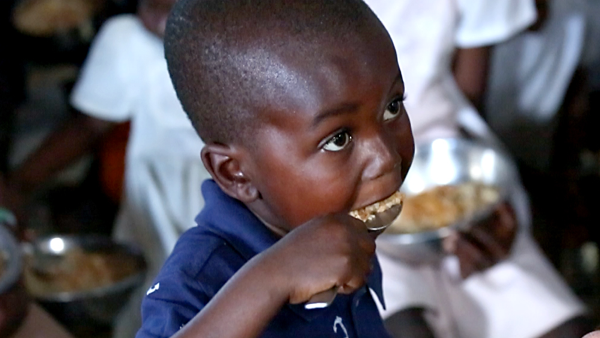 Malnutrition is one of the leading causes of death in Haiti with roughly 1 in 14 infants never seeing their 1st birthday." 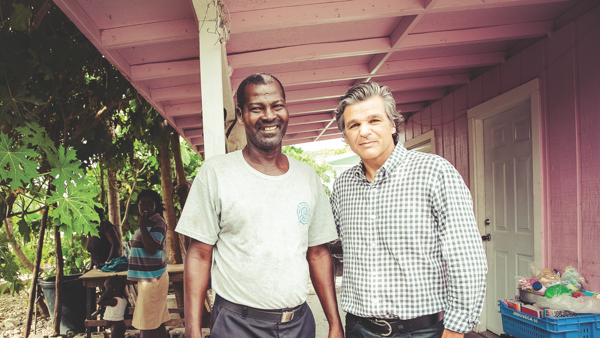 In 2014 we set out to raise $1,000,000 to invest in the future of Haiti. We wanted to do more than send food—we wanted to give them the tools for a sustainable economy. Our partners came through and the Miracle Market has opened! You’ve helped create hundreds of jobs already and this is just the beginning. Let’s not just give them fish, let’s teach them to fish and help them build a sustainable economy. Since Kingdom Connection began work in Haiti, you’ve helped build 100 homes, a 30,000 sq ft food distribution center, a 25-acre marketplace, sent 2 delivery trucks for transporting food to remote villages and provide 272,000 meals each month. Your donations make a difference!